Does anyone know if there is any additional information about Emily Forand's use of IF in the Developmental English classroom (a web article or blog post, perhaps)? Or would it be possible to get her involved in the forum in some way? I'm very interested in how she went about having her students complete their IF projects. Also, if others in the course have already used IF in a class or are considering doing so, I'd love to be able to share ideas. What are some best practices? What articles or videos have you found that would be good to use to prepare for student-created IF? Thank you, Mina, for inquiring about the project. Kae's working on a Google Hangout for us to discuss the project in more detail. I'm happy to share there and here everything I've learned from this project. I do have a blog about the course, and I am working on getting it ready for public view. Up until now, the blog was designed for the support committee helping me with the creation of the game-based ENG 090. *The problems with going International/web (this is quite a fascinating and humbling tale). *The role of teacher in the student fiction writing project...should I have changed errors? *What college-level writing skills are developed with an IF unit? Finally, your question about videos/materials to prepare students for IF was excellent. I started my students out with "Choose Your Own Adventure" books that I have been collecting since this project began. They are found in almost every second-hand store. I checked them out to my students, and they used those stories as a way to understand the ways that IF works. I did get a book called, "Twisty Little Passages..." about IF, but I have not had a chance to read it yet. I did not find it accessible enough for me in the midst of doing the project last semester. I'll try it again this summer, though. I'm looking forward to seeing your blog. I just wanted to point out that, when I tried to follow the link to livebinder, it told me that it was private.... Is there something you need to do to give us permission? I've used IF in my Writing for Interactive Media class the past four years in different ways. I've always used Inform 7 as an authoring tool, which has the advantage of being free and has a great interface. Learning the language itself, though, is always the barrier, and unless students have some programming background, they always struggle with this part of it. It takes serious commitment and a lot of time (I know, for I've authored one short game and have a couple of other projects in the works -- called "WIPs": "Works in Progress") to do anything substantial in Inform 7. Emily mentioned Twine, and I've heard about this as being a bit more accessible, so that's definitely something to try. The first year was purely experimental; students relied on the documentation and on games that publish the code. The second and third years I used Aaron A. Reeds text book Creating Interactive Fiction with Inform 7. This year, I dropped the book and only required students to do a "mock transcript" (a transcript captures the commands typed and output that the player sees when reading/playing an interactive fiction), so that students could focus on the story itself and not get bogged down in the code. As for preparing them for the genre, I asked them to play one of the classic games and report on it in class. I only use games that have a walk-through so that, when (not if!) they get frustrated or stuck, they can move through the impasse and get to an ending. I've got a page with walk-throughs here and also on my course wiki page. Unfortunately, the links to the game files themselves are broken, but they're easy enough to find online. One things I found helpful this year is to have students play games in pairs during class. That gives me a chance to walk around and correct problems with entering commands and offer suggestions. Since most students had never heard of interactive fiction, the goal was to give them a quick introduction so that they could then begin to imagine their own interactive stories. 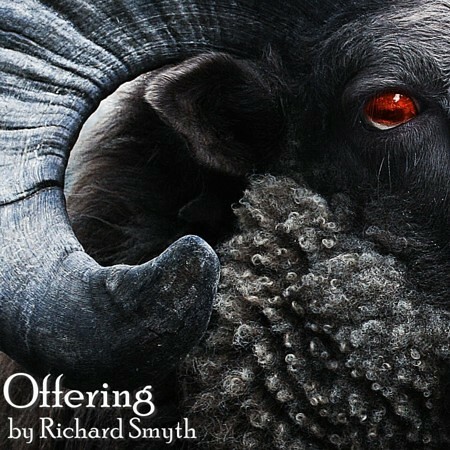 @rsmyth Thanks for the feedback and for sharing your ideas and experiences. I plan to have students play and review some IF to get them oriented to the genre. I will more than likely have them use Twine or AXMA (a version of Twine) because they don't require coding knowledge and provide a visual map of all of the narrative threads that I think will help students keep track of what they're doing. I'm pondering whether or not to have them work in pairs or small teams to compose their IF or to work alone. Teams will be more supportive and allow them to divvy up the work, but they also may pose more obstacles than they solve. Thanks for sharing the links! @MLE4AND Thank you so much for participating in the forum and addressing my questions. I'm looking forward to the Hangout, but may not be able to attend. Will a recorded version be made available? I'm having same problem. It looks like we need a key code to view the livebinder. We will be recording the Google Hangout with Emily and will check on the livebinder! In terms of mobile gaming, typing is not as easy and comfortable as tapping. Is IF better suited for desktop-play in the computer lab? More and more IF stories are using hyperlinks rather than player input. In Twine, you can create stories that use hyperlinks or input or both. The iPad app Versu uses hyperlinks, so you just click which option you'd like to try. I find these kinds of IF much more enjoyable than parser-based IF (I still have not figured out the right commands). I think hyperlinked IF is as enjoyable on an iPad as it is on a computer. However, there are quite a few parser-based IF available in the App store and most require minimal typing. You may want to try First Times, which is available for iOS and Adroid. A recent article in Gamasutra addressed mobile IF. More and more IF stories are using hyperlinks rather than player input. In Twine, you can create stories that use hyperlinks or input or both. I find these kinds of IF much more enjoyable than parser-based IF (I still have not figured out the right commands). I think hyperlinked IF is as enjoyable on an iPad as it is on a computer. Ah, thavma! In a previous post, I remarked that "not quite getting the right commands" has been a big turn-off for me, especially in games that aren't as stats-based and character-building and more "journey around and discover a world" based. This is excellent information...so simple, yet significantly enhances the experience. I can imagine using mostly hyperlinks, but then require certain input/commands (in Latin) to continue the story. I should look into Twine, thanks! It appears that Twine is hypertext ONLY (no support for command line option, i.e. student input/composition within the game). Does anyone know if Twee (the command line version) has hyperlink options as well? I know that AXMA (a version of Twine) has a macro for player input. There may be a similar macro available in Twine. 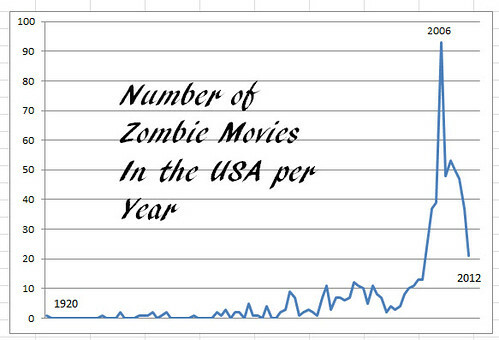 I just wanted to add a little fun information since it is Friday, and so I looked at the trend in Zombie movies in the USA from 1920. Looks like the fascination with zombies is fading fast. I think that some classes or disciplines have to be more focused on what are popular trends and that would influence what would be the subject for interactive fiction. I am looking at the creation of religions in my Anthropology of Religion class, but that really doesn't have a popularity curve. So my question are: " In developing an interactive fiction in your class, what would you be looking at as subject matter? and, "Are you involved in a discipline where there is a changing popularity of subject matter that would need to be taken into consideration ?" I always shoot for consistency, as I think it helps students to connect the different assignments in some way, so I usually have a theme for each class that changes from term to term (and, yes, I've done the zombie theme, not because it was popular, but rather because of its timelessness). Since our university's Freshman read for next term is Tim O'Brien's How to Tell a True War Story, my theme became pretty obvious. Sometimes my theme is predicted by the course, sometimes I can pick a theme. I try to select themes that are relevant to as wide a population of students as possible and that are timeless in terms of what issues the theme allows us to explore (with zombies it was our fear of disease, death, and social anarchy). I would be very interested if any of the MOOCers have experience with this software and what is your opinion of usefulness for what we are trying to do with Interactive Fiction.